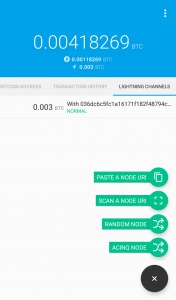 Wanna try out the Lightning network? Follow our simple guide to connect to our node and start spending some satoshis! Our c-lightning node is connected to a few other merchants in the space. After connecting to the quinsolo node, you will be able to shop at a variety of stores via routing on the Lightning Network. Check them out! Links to direct connections are at the bottom of the page. You’ll need to know the basics of creating a wallet and sending/receiving bitcoin. An Android device. Sadly, no mobile iOS app yet. At least .0015 bitcoin to commit to a payment channel. Download and install the ACINQ eclair mobile wallet. You will need to backup the wallet using the mnemonic seed given during setup of the application. 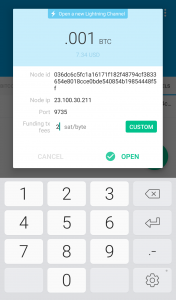 After backing up the wallet, send at least .0015 btc to your new Eclair wallet and wait for the funds to confirm. The application has a minimum of .001 that can be committed to a channel. We suggest to send .0015 to have a spendable amount and to cover any fees if you need to move funds quickly. After the funds have confirmed in your wallet, you are ready to open up a channel! 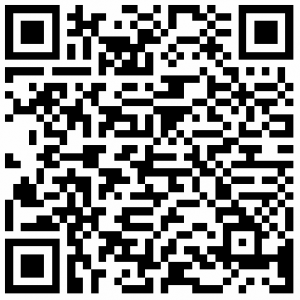 You can copy and paste our node information or scan the QR code below. If copypasta, copy the text before selecting the paste button in the next step. 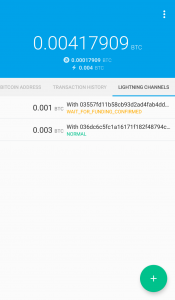 Navigate to the Lightning Channels section of your wallet and tap the plus icon in the corner. If you select paste, the information that is currently in your clipboard will automatically be filled in. Fill in the amount you wish to commit to the payment channel and the fee you wish to pay. If all the information is correct then you should be able to click the open button and create the channel. You will now see the channel listed under the Lightning Channels section and your on-chain/LN balance at the center have now switched places. Shortly after opening the channel it will say something like “WAIT_FOR_FUNDING_CONFIRMED” in yellow letters. When the payment channel is fully confirmed, it will say “NORMAL” in green letters. It will require between 3-9 confirmations before it becomes spendable. This timing depends on your tx fee when opening the channel. You are now ready to spend some satoshis! Head over to our shop page to buy some decals, magnets, or coasters! We have BTC LN channels setup for routing purposes with quite few LN enabled stores.